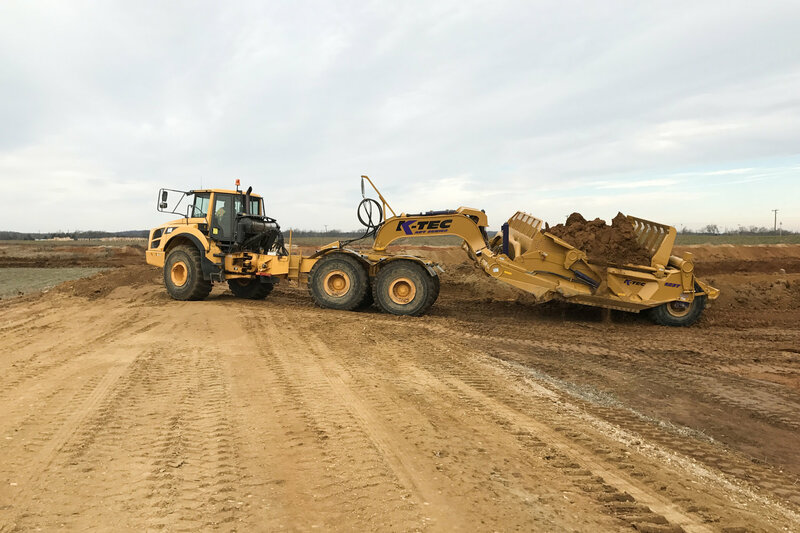 K-Tec 1237 ADT | K-Tec Earthmovers Inc. 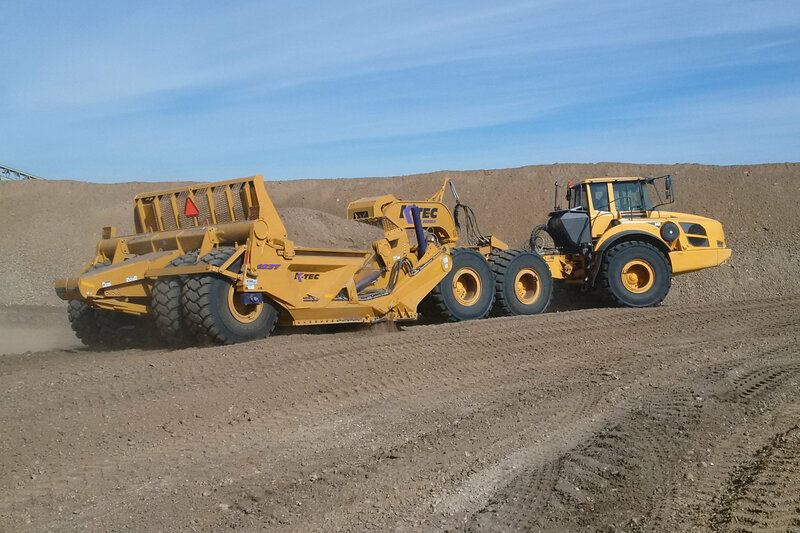 The K-Tec 1237 ADT is designed for self loading with a 40-ton, 400+ horsepower rock truck. 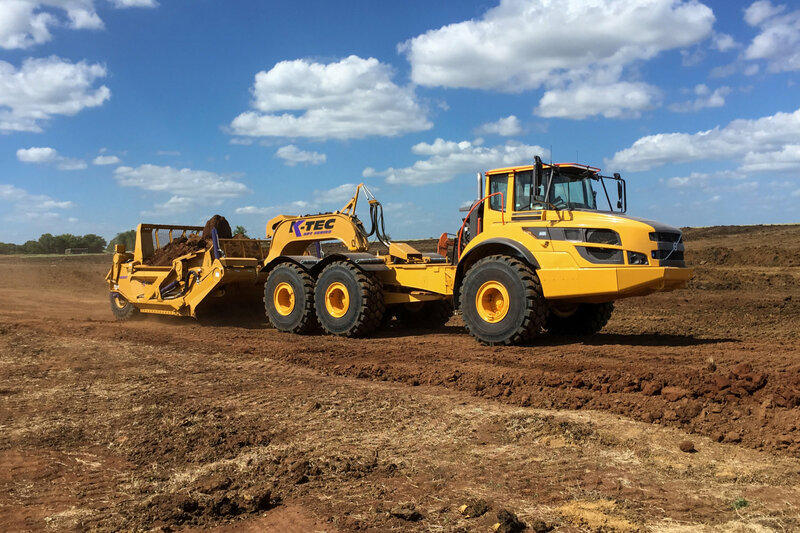 The 1237 ADT offers more power to the ground with the functionality from an existing rock truck unit. It features fast hydraulics, a smooth ride, and joystick scraper control. Truck Chassis Catwalk System (optional)easy access steps and platform for maintenance on hydraulic system.easy access steps and platform for maintenance on hydraulic system.